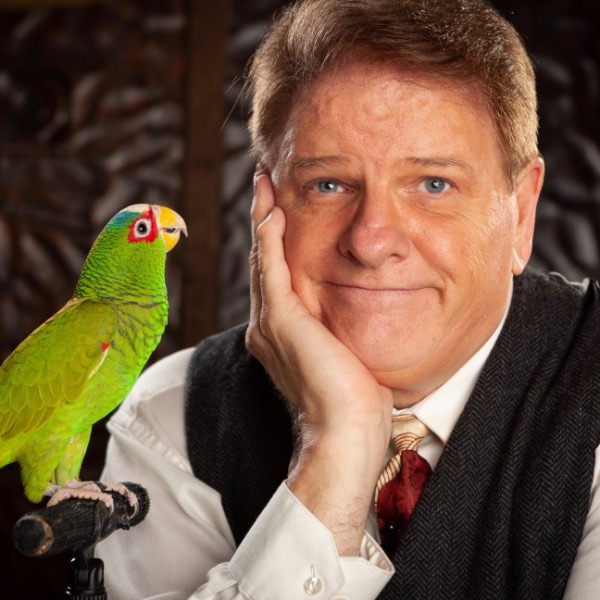 Dana Daniels, teamed with his Psychic Parrot Luigi ( yes, a Psychic Parrot ), have been entertaining at Corporate events around the country. With Dana as the comedian, and Luigi as the straight bird, the duo never fail to fracture an audience with laughter. Dana sets out to prove his little green friend is truly clairvoyant by performing incredible magic blended with rapid-fire clean comedy and audience participation. Dana has been recognized by his peers as one of the best comedian magicians working today. His past accolades include. In addition to Dana's busy corporate schedule, he is also a regular headliner at Maui's number one evening designation, "Warren & Annabelle's." Dana is also one of the stars of the hit touring show "The Illusionist - Turn of the Century" where he has performed in such places as Dubai, Australia at the Sydney Opera House and on Broadway at the famous Palace Theatre where they broke box office records as the most successful magic show in Broadway history. Dana's past television appearances include Stand up Live, America's Got Talent, Evening at the Improv, CBS Morning Show, NBC's Comedy Club, News Radio, Masters of Illusions, Lance Burton's Magic Special and the best selling clean comedy DVD series "Thou Shalt Laugh". Dana has also opened for such stars as Ray Romano, Amy Grant, Vince Gill and Randy Travis. "It's Dana's unique twist" on magic that separates him from other magicians, and separates Luigi from other poultry.